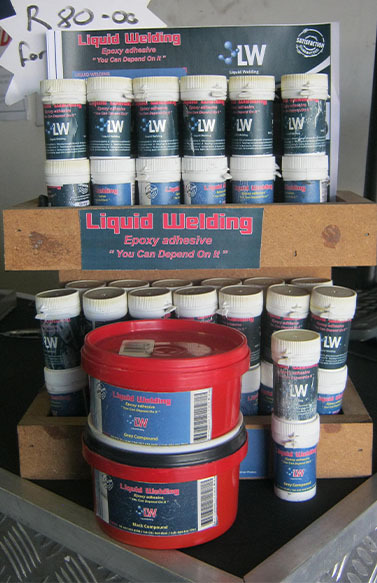 Liquid Welding was started in 1985 and has since grown into the leaders in the epoxy adhesive and industrial floor market. It is a 2 component epoxy adhesive, which bonds to any surface. Because of the mineral content, Liquid Welding gets extremely hard and can take an intense amount of heat and pressure, it is widely used in the irrigation field to fix plastic, asbestos and steel pipes. This product can take up to 100 bars of pressure and -40 to 140 degrees C.